Hope you' re with someone you love today. 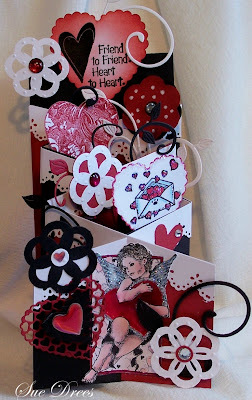 Card design was developed by Sonia Sellers and there is also a link to her blog. The fold is pretty easy to put together and it's a lot of fun to decorate! 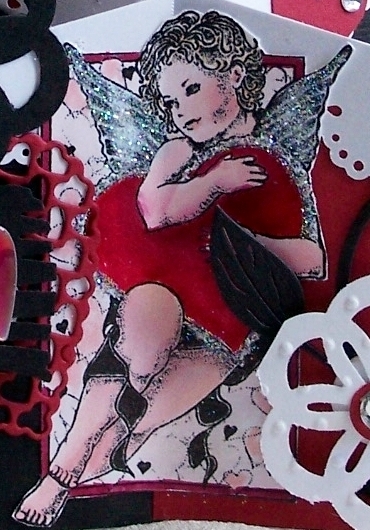 Gorgeous work Sue, such a lot of detail, I can see how it would be fun to decorate! wow sue this is very beautiful. great and lot of work you did. Oh My Word! That is totally breath taking! 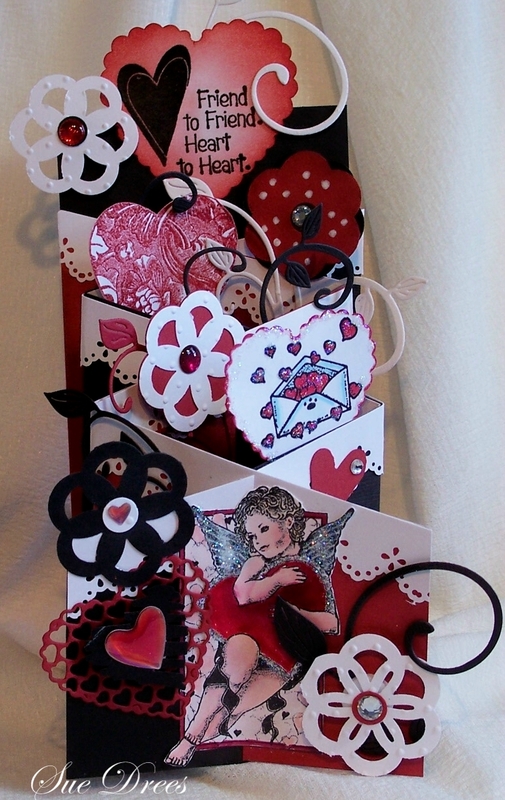 Wow - you must have 42,000 treasures on this fabulously designed card. I am so impressed!!!! Lots of FUN detailing, lovely colors for a fab valentine project.